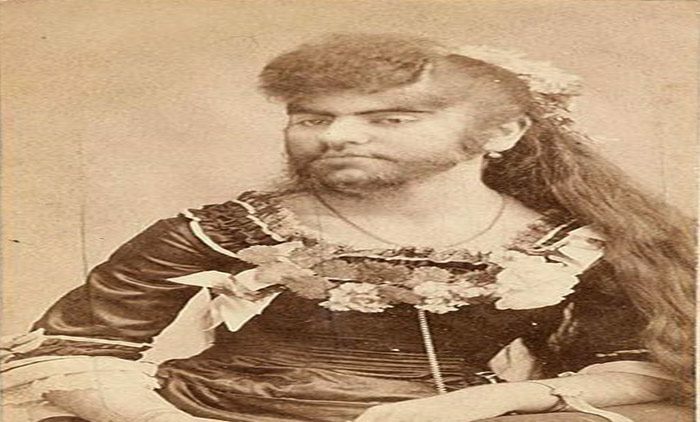 Hirsutism describes abnormal male-pattern hair growth in women on the face, chest, back, abdomen, and inner thighs – it is the condition behind the bearded lady. It is a symptom of endocrine imbalance and can rarely be a sign of an internal malignancy. Hirsutism occurs when the body experiences an elevated level of male androgen hormones or when the hair follicles themselves become more sensitive to the effects of male androgens. There are a multitude of possible causes of hirsutism – hormonal changes brought on by polycystic ovarian syndrome (PCOS) is the most common. This condition is associated with obesity and, in these cases, may be linked to insulin resistance. Sudden and intense hormonal changes during puberty can cause temporary abnormal hair growth. It can be a sign of adrenal or ovarian cancers. Other endocrine diseases that can cause hirsutism include congenital adrenal hyperplasia, Cushing’s disease, and acromegaly. Finally, hirsutism can be caused by medications such as tetrahydrogestrinone, phenytoin, minoxidil. It is important to note, however, that hirsutism can rarely appear without any identifiable cause. Hirsutism itself is not physically harmful but its underlying cause could potentially be. All hirsutism should be evaluated by a physician. Furthermore, this abnormal male hair can be quite psychologically and cosmetically concerning for affected women. The best treatment is, of course, identifying and resolving the underlying hormonal issue. This is often impossible or impractical, however, but many treatment options are available to remove or reduce the appearance of this unwanted hair. Bleaching agents can make these hairs less obvious. Frequent shaving, waxing, electrolysis, laser therapy, and depilatory creams can remove the hairs. Many medications can be used to treat hirsutism, depending on its cause. Medications such as spironolactone and other anti-androgenic medications block androgen receptors and thus help reduce excess hair growth. Metformin can be used to help control hirsutism associated with insulin resistance. Topical eflornithine can be used to reduce facial hair growth. Finally, combined oral contraceptive pills can reduce hirsutism by inhibiting androgen production in the ovaries. Contact your dermatologist for evaluation and treatment if you are suffering from hirsutism.